Welcome to Root & Branch Acupuncture! On this site I hope you will find all the information that you need to make an informed decision about whether Acupuncture is right for you and can help your condition. And while there are a few main groups of conditions that I routinely treat in clinic, if you don’t see what you’re looking for, just give me a ring; I’m happy to discuss! 1. Is there any evidence for Acupuncture? Yes. There are now over 8000 clinical trials for acupuncture, which is slightly less than there is for nursing, but more than the number of trials for physiotherapy and much more than chiropractic therapy. 2. Are the effects of acupuncture all down to placebo? No. A 2012 analysis of patient level data from 29 high quality RCTs including 17,922 patients revealed statistically significant differences between acupuncture vs sham and acupuncture vs no acupuncture control for all types of pain studied. Pain relief lasted for at least 12 months. 3. Is acupuncture good for anything else besides pain? Yes. A 2017 literature review of systematic reviews found evidence of effectiveness for 117 conditions, including strong evidence for 8 conditions, and moderate evidence for 38 conditions. The conditions besides pain for which there is strong evidence include allergic rhinitis (perennial and seasonal), post-operative nausea and vomiting and chemo-therapy induced nausea and vomiting. 4. Does western, or conventional, medicine agree that acupuncture has a role to play? Yes. 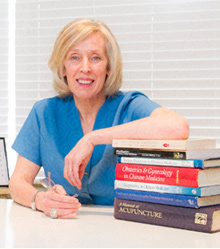 Researchers writing in the Journal of Integrative Medicine stated that by November 2015 there were over 870 recommendations (clinical guidelines) for acupuncture for over 100 conditions from multiple international groups and over 30 countries, indicating that acupuncture is widely accepted by conventional medicine. Yes, when in the hands of a well-trained practitioner. Moreover, analysis of efficacy and risk studies conclude that acupuncture is safer and significantly more effective for pain than opioids for conditions such as sciatica. Equally, acupuncture is safer than NSAIDs such as Rofecoxib, Diclofenac and Naproxen, all of which are associated with a significantly increased risk of cardiovascular events, even in small doses, and for a period as short as one week. 6. How does Acupuncture work? The effects of acupuncture are mediated through numerous mechanisms, principally involving the nervous system, biomolecules and fascia. Broadly, acupuncture: stimulates the peripheral nerves triggering a cascade that causes changes in the brain and the internal organs; stimulates the body to release its own natural pain killers and molecules associated with tissue healing and disease resolution; and, causes structural changes to fibroblasts that in turn cause them to release anti-inflammatory chemicals. The Hypothalmic-Pituitary-Adrenal axis is known to be engaged and regulated by acupuncture, as is the sympathetic and parasympathetic nervous system. Heart rate variability is also influenced by acupuncture.